Direct Attached Storage (DAS) refers to a data storage unit that is attached directly to a server or workstation. An internal Host Bus Adapter (HBA) is required to be installed in an available PCI-Express or PCI-X slot to connect a DAS system via a Cable that is usually no more than 15 feet away from the server or workstation. An internal HBA (Host Bus Adapter) available in PCI-Express or PCI-X is required to connect a DAS system via a Cable that is usually no more than 15 feet away from the server or workstation it is serving. DAS (Direct Attached Storage) refers to a data storage unit that is attached directly to a server or workstation. An internal HBA (Host Bus Adapter) available in PCI-Express or PCI-X is required to connect a DAS system via a Cable that is usually no more that 5 metres away for the server or workstation it is serving. Once the DAS (Direct Attached Storage) unit is attached, it works as though the drives are internally connected to the Server or workstation to which it is connected. Microsoft Windows or any other compatible operating system will see the device as an internal device, which can then be partitioned and formatted just like any other internal hard drive or raid array. 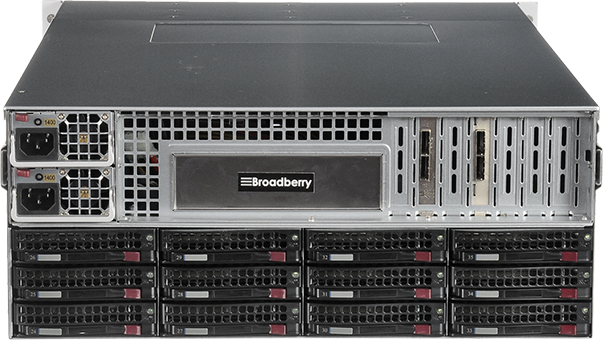 The Broadberry CyberStore DAS is connected directly using the Latest SAS (Serial Attached SCSI) Technology, so the device is as fast and in most cases even faster than the drives that are already inside the Server or workstation. We provide a range of Direct Attached Storage Servers (DAS), scaling from entry level units based on Serial ATA (SATA) technology with 4TB (Terabytes) through 48TB capacities. Our DAS servers include redundant power supplies and have a choice of hardware RAID levels including RAID level 0, 1, 5, 6, 10, 50 and JBOD. The CyberStore DAS 316 & DAS 424 are direct attached storage systems that provides up to 48TB (48 Terabytes) of RAID storage. It connects to one or two servers via a SAS cable. Linux, UNIX, Windows and Apple servers are all supported. 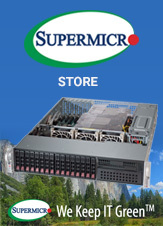 The CyberStore DAS 316 & DAS 424 provide complete hardware based RAID storage. 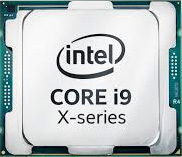 Included in the Package is a PCI-X (PCI 64bit) or PCI-Express (PCI-E 8x) SAS Controller and 2 Metre Cable (optional longer cables can be supplied). It offers mission critical, fault tolerant designs that include RAID levels 0, 1, 5, 6, 10, 50 and JBOD, hot-swappable drive bays, redundant power supplies & fans. It also features user friendly software for quick setup and monitoring, maximising data protection to keep your application running 24/7. The CyberStore DAS is an ideal direct attached external disk array subsystem that provides superior performance for any and all applications with the lowest Total Cost of Ownership (TCO) in its class. 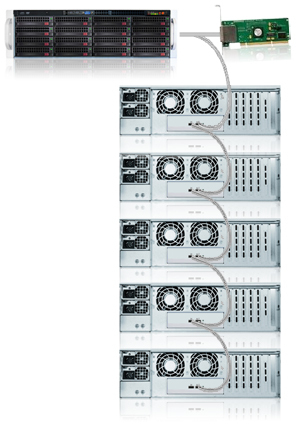 TheCyberstor DAS Storage Systems can be daisy chained together to create one or many central storage pools. 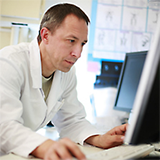 All attached storage units can be managed as if they were one large unit with up to 128 drives per SAS port. 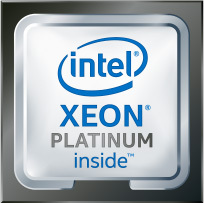 And you don’t have to stop at 128 drives, as you have an option for dual port PCI-Express or PCI-X SAS Controllers, and you can also have as many controllers as your server or workstation can support, so having 512 Drives attached and managed by one server or workstation is no longer an impossible mission.